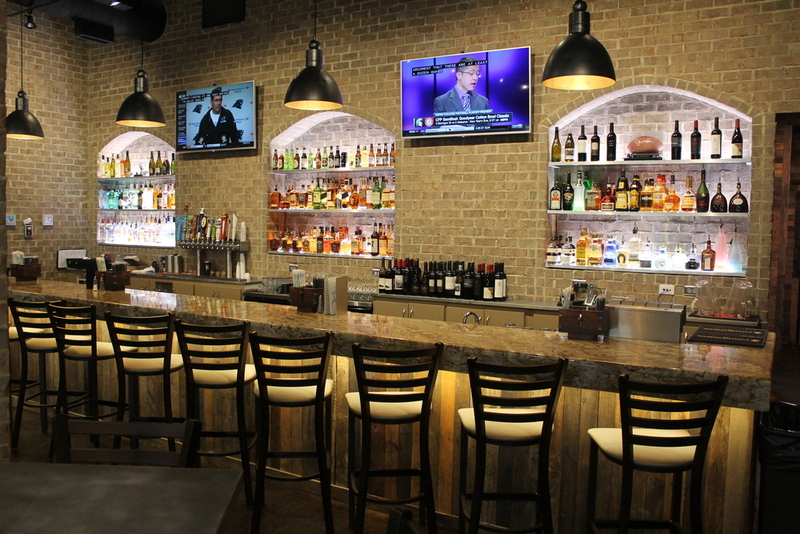 Located in North Columbus, The Office Sports Bar & Grill offers dignified drinks & dining for professionals & friends. Upscale, professional scene ideal for business lunches, happy hour or let's be honest, a guilt free place to say, "I'm at The Office". Opening in September of 2015 located in North Columbus amongst a cluster of hotels for corporate road warriors, The Office caters to folks seeking quality dishes and a refreshing cocktail after a hard days work. *These items will be offered undercooked. Consuming raw or undercooked meats, poultry, shellfish, eggs or unpasteurized milk may increase your risk of foodbourne illness. Call to make reservations for parties of 6 or more. Reservations not accepted on Fridays. Tell us how we are doing, leave a review or ask a question here. A representative will be in touch with you shortly. Thank you for contacting The Office Sports Bar & Grill. Someone will be in touch with you shortly.